The fourth of five volumes collecting the complete fiction of William Hope Hodgson, an influential early twentieth-century author of science fiction, horror, and the fantastic. 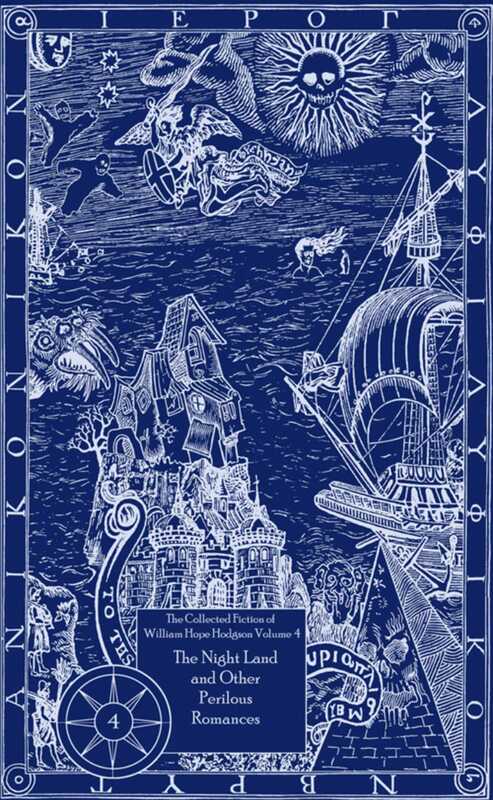 William Hope Hodgson was, like his contemporaries Algernon Blackwood and Arthur Machen, one of the most important, prolific, and influential fantasists of the early twentieth century. His dark and unsettling short stories and novels were shaped in large part by personal experience (a professional merchant mariner for much of his life, many of Hodgson’s tales are set at sea), and his work evokes a disturbing sense of the amorphous and horrific unknown. While his nautical adventure fiction was very popular during his lifetime, the supernatural and cosmic horror he is most remembered for only became well known after his death, mainly due to the efforts of writers like H. P. Lovecraft and Clark Ashton Smith, who often praised his work and cited it as an influence on their own. By the latter half of the twentieth century, it was only his weird fiction that remained in print, and his vast catalog of non-supernatural stories was extremely hard to find. Night Shade Books’s five-volume series presents all of Hodgson’s unique and timeless fiction. Each volume contains one of Hodgson's novels, along with a selection of thematically-linked short fiction, including a number of works reprinted for the first time since their original publication. The fourth book of the five-volume set, The Night Land and Other Romances, collects all of his romances and women’s fiction, as well as the entirety of his classic 1912 dying-earth novel The Night Land.